Note: We just migrated from hg to git. Please pardon our dust. Utilizing NASA World Wind and the NetBeans Platform,Terramenta is an open source baseline for GIS applications. 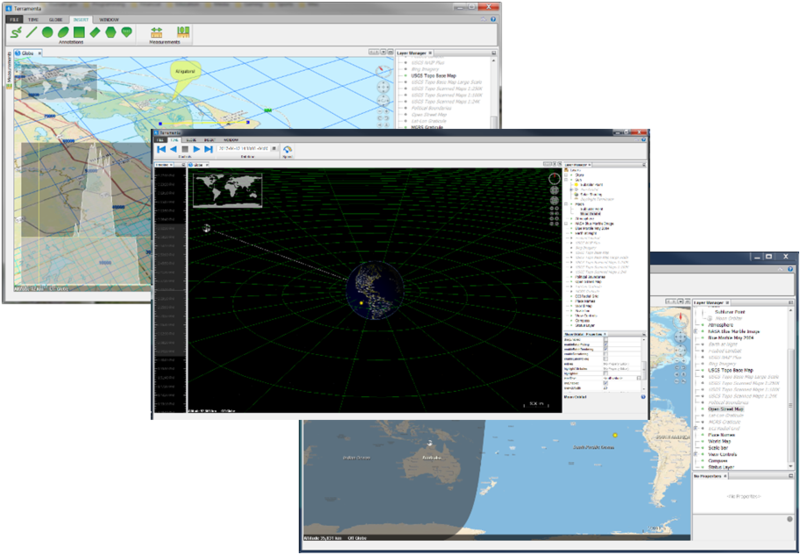 Our mission is to create the community desktop-based globe and map for visualizing dynamic data. We strive to develop software for top performance, visual quality, platform support, and ease of use. Terramenta is free for both commercial and non-commercial use and is dual-licensed under both\ the CDDL 1.0 & GPL 3 for broad community reach. This is our wiki homepage. Ask questions or discuss Terramenta features on the forum.